Shutterbug reader Erick Castellón has a particular attraction to lone trees because of the patterns and textures they create against the sky. 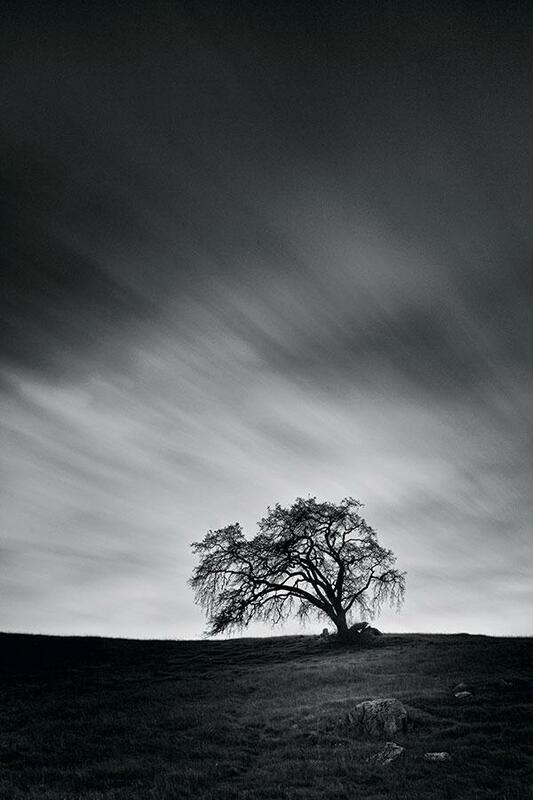 This stunning image of an oak tree was captured by Castellón in Calero Park in San Jose, California, in February 2015. “On the day I took this shot, I had been watching the clouds early in the day and was hoping for something interesting,” Castellón says. More and more new cameras no longer have low pass filters. A recent news item claims picture sharing on "social" sites has flattened out. The subscription department of the company that owns Shutterbug has alerted me that an unauthorized telemarketer has illegally obtained a smallportion of our subscriber file and has been attempting to contact some subscribers for unsolicited renewals and payment of invoices. Sony has introduced a full frame sensor mirrorless camera. "Mirrorless" new camera intros are outstripping new DSLR intros three to one. A number of photo schools still teach black and white film developing and printing. New sensors and processors yield better quality at higher ISO settings. Adobe has changed the way future editions of Photoshop will be accessed. Compact System Cameras are becoming more interesting, and popular.